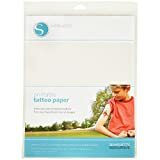 Trendy fashion jewelry tattoos for adults and kids. Long Lasting 1-5 days! Easy to Apply with Damp Cloth or Sponge. Wear at concerts, carnivals, any event as headbands, bracelets, rings, necklaces, or anywhere on your body! 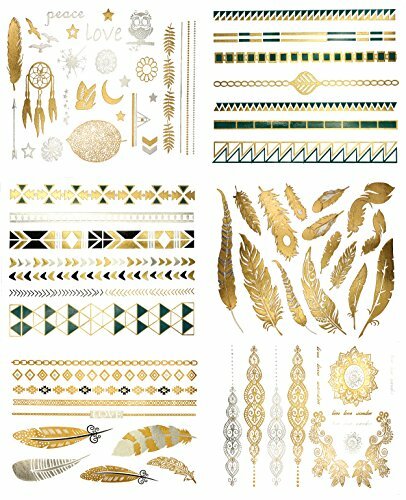 Metallic body temporary tattoos. Add to cart before we are sold out! Stylish fashion jewellery tattoos for adults and children. 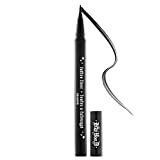 Long Lasting 1-5 days! Simple to Follow with Damp Cloth or Sponge. Wear at concerts, carnivals, any event as headbands, bracelets, rings, necklaces, or any place for your body! Gold, Silver, and Colored Designs. Two Packs to Select From! Amusing and Protected to wear!